JIAM FinTech Square (JFS) is an initiative of JIAM, promotes B2B FinTech solutions to asset management firms in Japan. We operates a showroom facility for clients to try and feel various FinTech solutions. Through collaboration with asset owners, asset managers, service providers and consulting firms, our goal is to enhance profitability and efficiency of Japanese asset management industry by leveraging advanced technological solutions. We demonstrate your FinTech solutions in the JFS Showroom and promoted in client events and meetings. JFS can help in partnering with local vendors to localize data and user interfaces for Japan. 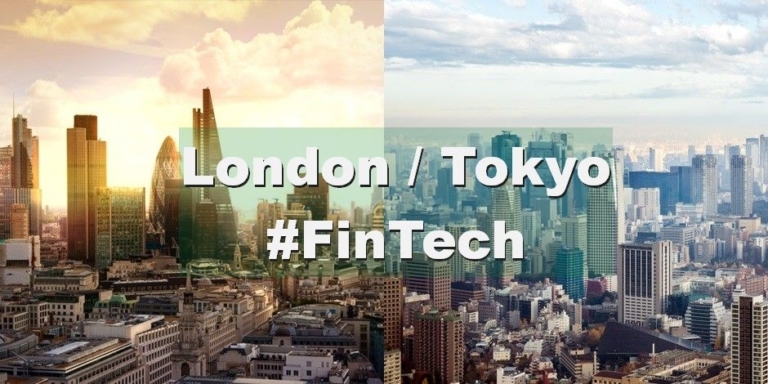 Our team conducts market research and collects feedback on your fintech solution from clients in Japan. Try and feel the lastest FinTech solutions here with customized explanations from our curator. Access by appointment. Join fintech seminars conducted by leading universities and organizations. Explore approaches of adopting fintechs through our consulting service. Participate in creating long term technology solutions to address industry-wide issues in Japan. Provides central repository of fund information, data and documents sharing. No more emails and spreadsheets, just a single, web-based ‘golden source’ of information that’s accurate, secure and trackable. The only Fintech founded by finance executives specifically dedicated to smart financial translation. Leader in developing specialized multilingual machine translation engines, including Japanese, we help finance professionals cut costs and meet deadlines by joining human and artificial intelligences with more consistent translation solutions. The world’s only fully integrated KYC case management platform that automates 90% of routine tasks and accelerates the on-boarding of both individual and corporate clients. Cloud-based messaging and collaboration platform that connects markets, organizations and individuals, protected with customer-owned encryption keys. Symphony increases workflow productivity while facilitating global regulatory compliance and boosting productivity in information-driven businesses for the financial services industry . Applies AI to uncover timely Environmental, Social, and Governance (ESG) data, monitoring 8500 companies worldwide including Japanese companies, for investment professionals. We offer transparency into ESG data and analytics that go beyond traditional fundamentals; and deliver timely and investable insights by revealing intangible value and risk factors from unstructured data. A new dimension to investing, using self-learning quant models and big data to assess the performance and sustainability of globally listed companies, including Japanese companies. Arabesque S-Ray™ systematically combines over 200 Environmental, Social and Governance (ESG) metrics with news signals from over 50,000 sources across 15 languages. A FinTech start up spun off from an HFT company in Japan. A data analytics and machine intelligence company that helps financial professionals answer millions of economic and market related questions by scanning over 90,000 customizable actions. Provides automated investment platform allows banks, brokers and wealth planners to offer their customers a digital investing experience under their own brand. The online platform enables users to invest in portfolios of stocks, funds and other asset classes across all major global markets. Minsetsu supplies institutional investors effective meeting with listed companies. Our approach provides both company and investor with a fully compliant solution to the challenge of effective corporate and capital access under the constraints of MiFID II. Open financial estimates platform that crowdsources forward looking financial estimates from professionals (buy-side, sell-side) and non-professionals (academics, students). Over 70,000 analysts contribute, resulting in quarterly coverage on 2,500+ stocks and 80 economic indicators. The Estimize consensus is more accurate than comparable sell side datasets 70% of the time. Israeli AI-WealthTech company specializing on the development and application of advanced self-learning forecasting & ranking algorithms for capital markets utilizing machine learning. Predictions are generated for over 8000 securities to discover best investment opportunities, support existing research and investment processes and structure AI-powered investment products. The ideal platform to convey machine learning signals and investment ideas through a visual analytics solution dedicated to financial data exploration for stock picking and factor investing. We offer direct access to information with effective displays of comparative positions on multiple criteria, screening and parallel back-testing. Cloud-based, fully integrated front-to-back investment management software, fund services, and a data warehouse provided by ONE vendor, in ONE system, with ONE data set. A leader in Cloud based platform for managing the disparate and complex needs of Asset Managers, offers smart digital platform for Asset Managers who are relying on deep data to make intelligent investment decisions, managing risks and providing enhanced services to their investors. Leading provider of on-demand cloud-based software solutions incorporates essential tools for CRM, IRM and PM for institutional investors (Private Equity, Venture Capital, Hedge Funds, Allocators) to manage client relationships, streamline sales & marketing efforts and manage investor accounts in one centralized location. World’s leading platforms for fund information. Our services are available in Europe, Asia and the U.S., covering thousands of funds from fund houses around the world. With millions of fund documents, data, news, fund manager videos, prices and ratings available on-demand, our database is a unique source of information for the entire fund industry. A platform delivering web-based solutions connecting investors and hedge funds. Hedge fund industry beneficiate from a scalable marketing platform and a high sophisticated investor relations portal.